These integers reoccur (with a period greater than 1) upon the iteration of raising every digit to the power of the number's length and summing. 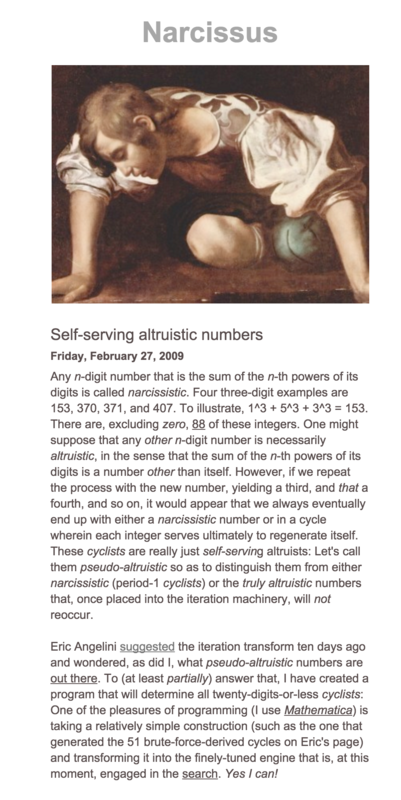 If the reoccurrence is immediate (period 1), the numbers are (instead) narcissistic (A005188). 2929 is pseudo-altruistic because 2929 -> 13154 (2^4 + 9^4 + 2^4 + 9^4) -> 4394 (1^5 + 3^5 + 1^5 + 5^5 + 4^5) -> 7154 (4^4 + 3^4 + 9^4 + 4^4) -> 3283 (7^4 + 1^4 + 5^4 + 4^4) -> 4274 (3^4 + 2^4 + 8^4 + 3^4) -> 2929 (4^4 + 2^4 + 7^4 + 4^4). Cf. A005188. The "Recurring Digital Invariant Variant" is described in more detail in A151543.